Registered members of Apple's public beta testing program now have a third pre-release build of iOS 11 and macOS 10.13 High Sierra available to download, arriving just a day after the fourth developer beta. Apple's iOS 11 is scheduled to be finalized and released to the public this fall, but intrepid users can opt in to test the early beta builds as bugs and kinks are worked out. Apple warns that all of its beta software should only be installed on devices dedicated for development and testing, and should not be used on mission-critical hardware. High Sierra is also due to launch as a free update this fall. The software will support standards like Metal 2 and H.265/HEVC video, and transition to the Apple File System, already in use on iOS 10.3.x devices. Apple is also planning miscellaneous upgrades to apps like Photos, Mail, and Safari. By spring 2018, High Sierra will also officially support external Thunderbolt 3 GPUs, enabling high-level graphics normally reserved for gaming PCs and workstations. The third tvOS 11 public beta build addresses a host of home screen problems like text clipping and app icons. 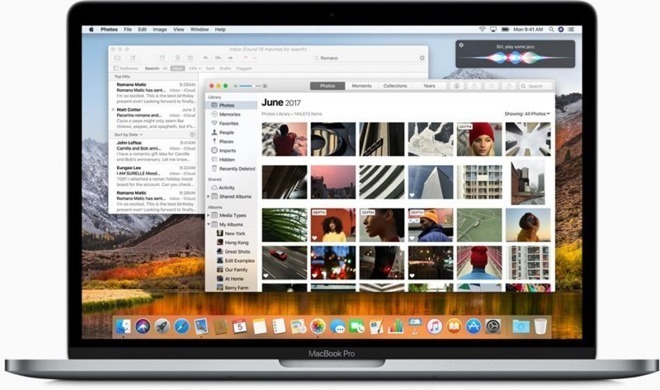 Issues that cropped with individual apps, like Music, have been resolved, while developers can more easily connect to an Apple TV for QuickTime screen recording. All three of the public betas released on Tuesday match their equivalent developer releases from Monday.